First ever Pakistan DTH Service launch is the most anticipated occasion for all TV and Satellite fans across the country in 2019. The recent progress PEMRA and in some cases by the Supreme Court of Pakistan ensured that DTH service in Pakistan is not just a dream anymore. All of us have been anxiously waiting for DTH Service in Pakistan since 2016. But this has not happened for almost 2 years now. 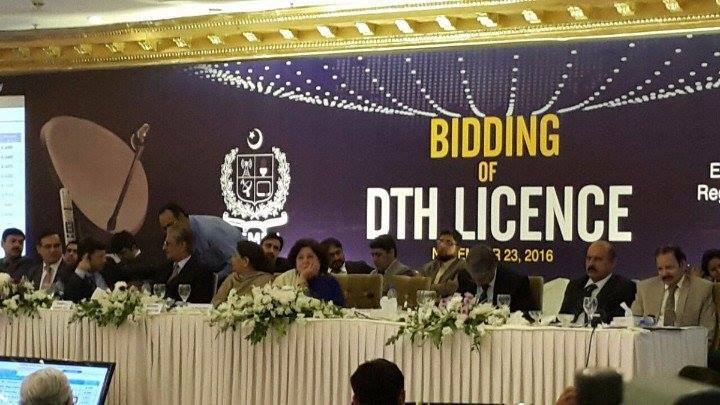 Since the Auction of the DTH Service in Pakistan was held back in November 2016. Anyways today in this detailed review we will look into all the Pakistan DTH related info. 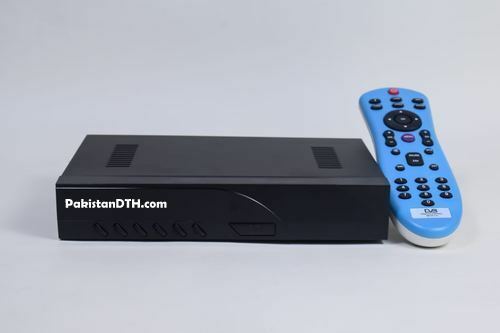 Including Pakistan DTH launch Date, Pakistan DTH Channel List, Price, Satellite which is selected as the service provider and the detailed review of the Companies expected to start the DTH services in Pakistan. 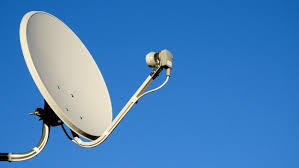 DTH stands for the “Direct to Home”, A service mainly provided by companies who use Satellites signal to stream their selected Television channels to their subscribers. The users need to place a dish antenna outside in open sky to receive these specific signals, Which then decoded via a special satellite box provided by the company. The box is then connected with a Television set (or LCD/LED) using Audio/Video Aux cable or the new HDMI cables. 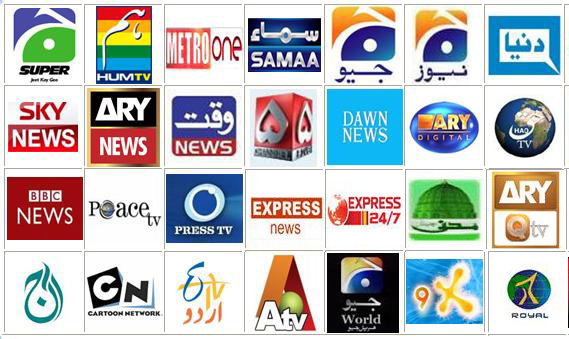 As we all know currently Pakistani media is highly dependent on the current Cable Network System. Which is only available in Large cities and towns currently. In a recent survey, it has been proved that almost 70-80% small towns and villages have no access to this Cable Network. 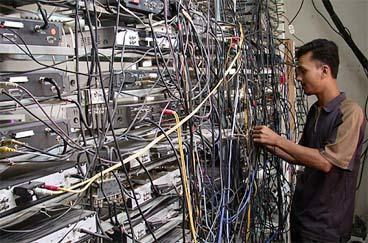 Moreover, most Cable Operators still work provide direct analog cable service. Which is the biggest hinder in upgrading the Channels quality? Somehow there are some CSP (Cable Service Providers) who gave Digital Boxes along with a new cable connection to watch HD channels. But they aren’t more than 10-15% of all Cable Network Connection issued. While on the other hand, DTH (Direct To Home) Service does provide High-End television viewing experience. With more and more channels upgrading to High definition content. It’s the new DTH services which can only provide such HD channels direct to their subscribers to their Homes. So, in other words, you can say that Cable Network was passed, While DTH is the present and Future of the Television broadcasting services. Now that you understand DTH, you may be asking why there is no such service in Pakistan? That’s because of the non-serious attitude of governments and the easy availability of DTH services from neighboring country India. In the early days of President Musharaf, back in 2001-02, the talks for DTH services were already there. Back then Private Media Channels were introduced in Pakistan for the first time. Pakistan Media Regulatory Authority (PEMRA) was also formed in March 2002. So they started their work and came up with the draft of holding the first-ever DTH service auction in 2003. But back then Cable Operators and Media Managers of newly introduced Private Channels started protesting against DTH Auction. This keeps on going repeatedly, whenever the Government decided to bring the official DTH service providers in Pakistan. This keeps on getting delayed and hence Indian DTH services like DishTV, VideoCon, TataSky got famous in Pakistan. More and more people started subscribing to their services. The latest surveys show that well over 5 million Pakistani subscribers pay hefty fees to Indian DTH companies to enjoy their services. Similarly, 2-3 million people watch the same Indian DTH services by cracking their network, Mainly DishTV. Using free and Paid C-Lines on cheap Chinese Satellite receivers. The journey that started in 2003 finally made to its destination in 2016. A total of 11 private and semi-private companies attended this Auction. The companies that participated in Bidding for the DTH License includes. Among these only 3 made to the final place and were officially awarded the license of the DTH service providers by PEMRA. The best bid was made by MAG Entertainment of Rs. 4.91 Billion, While the second and third places, were occupied by Shahzad Sky for Rs. 4.90 Billion and by Star Time for Rs. 4.89 Billion. Recently the Supreme Court of Pakistan forces PEMRA to follow the instructions given during the DTH Pakistan Auction and let the companies start their services. It is expected that the first ever Pakistan DTH service might launch in Mid 2019. Fingers Crossed but to this day, there are still no official announcements made by either of the three companies. i.e Shahzad Sky, StarTimes and MAG DTH service provider. Also, there are many ground factors making the first Pakistan DTH Launch Date prolonged this far. The most expected price list would be Rs 500 per month for the base package. While with mega Sports + Entertainment + Infotainment Package with all channels on would cost around Rs.1,500-2,000. While the initial installation and Box price could be minimum Rs.10,000. Now if the first DTH Service starts in a couple of Weeks, i.e in February 2019 Then the first official DTH service providers would be the Shahzad Sky private limited. The expected channel list to be initially provided by this company would include following Pakistani and international channels. The Channels List for the first Pakistan DTH service 2018 looks like this. There are some new Sports Channels expected to be launch soon. So the list of updated Pakistani Channels in 2018-19 is here. There aren’t much confirmed in this regard. But some leaked reports and rumors point towards the ChinaSAT 11 as the official satellite to provide their services for the Pakistani DTH service providers. Currently, some channels already started shifting to this new satellite. Which includes Ten Sports(Pakistan), Dunya News, Geo News. These Channels can be found at ChinaSAT 11 @98° East, TP 11624 V 2400. All the above-mentioned Channels are in SD, FTA and can easily be tuned on a 2 to 4 feet dish antenna. However, the last agreement signed between Pakistan and China for the launch of a new Satellite called the Pakdth MM1 in a totally different orbit 38.2° East. It is also known to be the contender of the first DTH service in Pakistan. Since DTH service needs specific Satellite Boxes. So there are new DTH Boxes in the making. Which will be made available for subscribers once the DTH service starts. We, however, have no images or info regarding these new manufactured boxes yet. 1)-Will there be any Ban on current Cable network providers? Right now, it doesn’t look like that PEMRA( Pakistan Media Regulation Authority) is going to ban the Cable Network Suppliers in Pakistan. 2)- Is it possible for DTH Service Providers to run along old Cable networks? It would be quite tough for DTH service provider to compete with low quality, low priced Cable network services. So to get a boosted start for the DTH Service in Pakistan, Either Cable networks have to stop or the DTH service has to offer mega price cuts in their starting packages. 3)- What are the hurdles in starting the first ever DTH Service in Pakistan? There are many hurdles including DTH Boxes, Cable Network Providers and Satellite Charges issue. Some of the issues have been answered here in detail. Indian DTH has been illegally available in Pakistan for Decades now. Since old Indian DTH users in Pakistan are more into Indian Entertainment channels. Most of them have been asking for this. The answer is NO. There would be no Indian channels to be shown on Pakistan DTH service. 5) Is there any Chance of Indian Star Sports or Sony TEN channels to be shown in Pakistan? Most of the Indian DTH users in Pakistan have been fond of the Indian Sports channels. The two mega-networks, i.e Star Sports and Sony. They telecast most of the World Sporting events live. While not missing a single Cricket Series or League no matter where it is happening. But the bad news here is that Pakistan DTH will not telecast Star Sports, Sony ESPN or Sony Ten channels. 6)- Is there any chance of Sky Sports coming to PAK DTH? In the current scenario, there is no chance of any such development so for SKYSports the answer is still no. 7)- Which HD sports channels to be added in PAK DTH 2019? The most probable guess is that PTV Sports is going to be HD in the coming months. Besides this, the current Pakistan TENSports channel will start High Definition transmission with the launch of DTH service in Pakistan. Besides this, the new expected sports channels include Geo Super Sports HD, ARY Sports HD, and BOL Sports HD. 8)- Will there be any 4K channels on Pakistan DTH? There is no chance of any 4K channels to be broadcast right now. In fact, not many 4K channels are continuously broadcasting their transmission right now. 9) Which Company to make first Pakistan DTH Boxes? There are no reports yet about the manufacturing of DTH Boxes in Pakistan right now. Only PEMRA has pointed about making new Pakistan’s very own DTH Boxes. 10) What will be the minimum Price of DTH Channel Packages? Since DTH services need a DTH box, Dish Antenna, and Monthly subscription packages. So the minimum initial investment will be around Rs. 10,000, while the monthly packages would range between Rs. 500 to mega HD Packages around Rs. 1,500-2,000 per month. With all this progress in recent days, one can surely say that Pakistan DTH Service Launch Date is quite near. The continuous shuffle in the frequency of Pakistani Satellite tv channels shows that Pak DTH becoming a reality now. The Pakistan DTH service is going to launch soon. So be prepared and if you have some high-end leds from world-renowned manufacturers. You are going to get high-quality content on your TV’s soon. We will be updating all the news and info regarding Pakistan DTH services. Follow us on Twitter and Facebook so that you don’t miss any new news or coverage. Official Pakistan Kit for Cricket World Cup 2019. The only reason DTH service is not launching are these powerful cable mafia in this country. Still no official plan of Bol sports channel. I am an employee of Bol TV and we are not going to start any new channel in future. Can you please confirm the launch date and also the Pakistan dth satellite info? I am still doubtful that there is no specific satellite selected for the services. Is there any chance we see World Cup 2019 matches in HD or 4K in Pakistan?